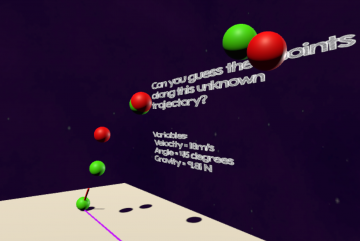 Physics World is an ongoing collaboration between Emerging Media Lab and AMS Game Development Association VR Division with the focus on the education of physics concepts. 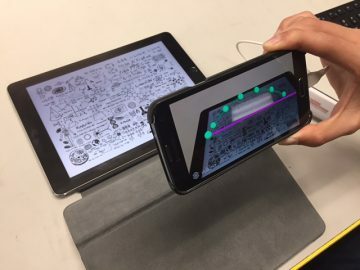 Dr. Matt Yedlin had an idea of teaching students who struggle with difficult physics materials through visualization. It is to help students understanding difficult concepts of physics and apply them in real life. At the current version of the project, it includes a trajectory game where the player has to try and predict the trajectory of a missile launch by plotting points with their controller. This was designed to help players acquire an intuition of how trajectories have a parabolic shape regardless of the variables.